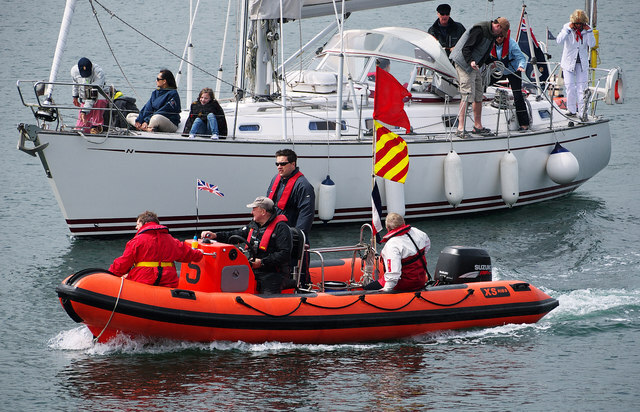 A yachts and RIB returning to Bangor Marina after taking part in the Jubilee sail past in Bangor Bay. Sail past to mark the Diamond Jubilee of Queen Elizabeth II in Bangor. HMS 'Bangor' Link took part alongside a variety of yachts and boats.